Below are a few example case studies of projects we have undertaken recently. Please check back regularly for updates. SPT highlighted a problem with the existing lighting (140w recessed metal halide) in that the lighting levels were inadequate, 80 – 100 lux and in general there was a need to reduce energy costs. In total there were 102 fittings in the ceiling. 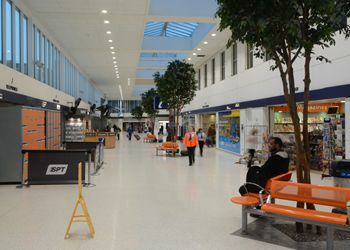 Our installation reduced the quantity of fittings to 80 and we installed 54w recessed LED fittings which resulted in lighting levels of 450 – 500 lux. 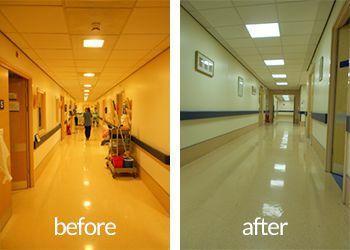 The ward corridors and common areas were badly lit and due for replacement. We were asked to provide an alternative in LED flat panels. Our installation involved supply and installation of 300 flat panels, 100 of which were emergency fittings.